Register 5 in a group and receive a $10 per person per day discount! Before registering - Consider joining ISACA today! 1/2 off now! Join ISACA at 1/2 price! Check out the ISACA Membership Benefits! What is OSINT? How is it used? Who uses it? We will answer these questions and more as we dive into OSINT. We will discuss how you can use OSINT to see how your digital identity appears to the outside world, allowing you to maintain your privacy. We will look at some of the tools you can use to uncover publicly available information about you and how you can get that information removed from the internet. Everyone is moving infrastructure to the cloud. Every day it becomes more and more common to remove physical infrastructure from offices and data centers and migrate it into a virtual hosted environment. 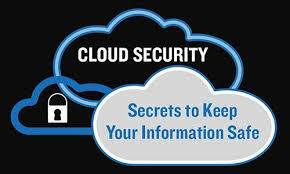 Just because you decide to use the cloud, doesn’t remove the requirements to secure it though! After all, it is just someone else’s computer. Preventative and detective controls are most likely still your responsibility, if anything, there may be even more of them on your plate than if you hosted the information yourself. This presentation is geared toward individuals curious about security within major cloud virtualization vendors such as Amazon, Microsoft, and Google and the differences presented when using SaaS, PaaS, or IaaS. SC Midlands Chapter of ISACA has a no refund policy, but substitutes are welcome if you cannot attend. Check back three or four days prior to class to download class slides or other materials for class. You will need to use your confirmation number to re-enter the event website. After the input of that number, look for the Class Material Tab along the top of the Summary Page. 4 CPES are awarded for your attendance at this class. Be sure to sign in when you arrive. After class is over, we use the sign-in sheet to mark your participation in the class. After participation is recorded, you will receive the Feedback Survey in an email from education@scisaca.org requesting completion of the survey. Once completed, you will receive an email with a link to print and save your CPE certificate. The CPE certificates downloads and you will see this as a file labeled "badge..." in the bottom left corner of your screen or in your download file. You must not have opted out of our email to allow this to work. Please notify us if you have difficulty receiving your CPE Certificate.